It seems Google is testing a new layout for mobile search results again. This time placing product ads for local inventory at the top of the page. Yes, this means sponsored products are being displayed above the local 3-pack. The ads are almost mistakable for the local pack, since the products appear next to a map and are not clearly labeled as sponsored content. Mike Blumenthal originally spotted this and captured our attention (along with many others in the local search space). As he noted in this article, the test ads are part of Google’s new Shopping campaigns, which allow businesses to promote local inventory. Interestingly, the results don’t appear to be linked to a specific geographic area. For instance, we ran a test search from our office here in McKinney and received the same sponsored product results as Blumenthal. 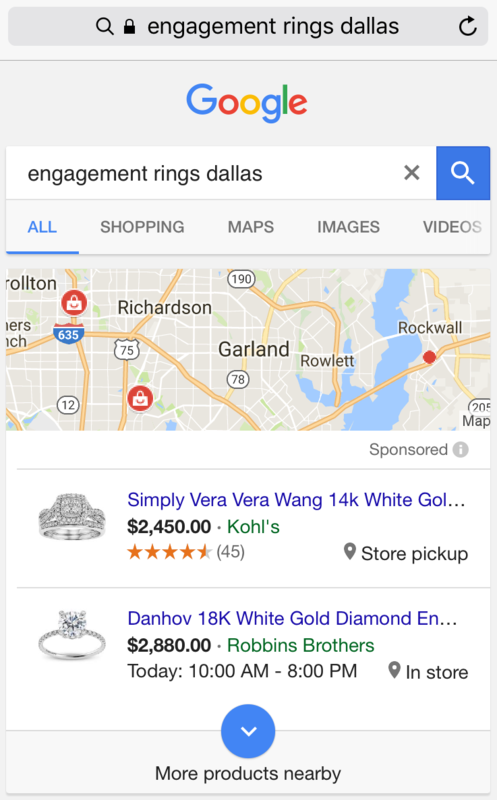 However, since Google is just starting to test this ad-pack layout, we could expect to see more targeted ads in this local pack format if and when the update is officially integrated into mobile search in the future. #Google Is Playing with #Mobile Search Results Again. Get the Story from @Advice_Local! In our own mobile search results, we found that the test ads for inventory take up the entire screen above the fold. This forces smartphone users to scroll down to see the local 3-pack and even further to see organic results. 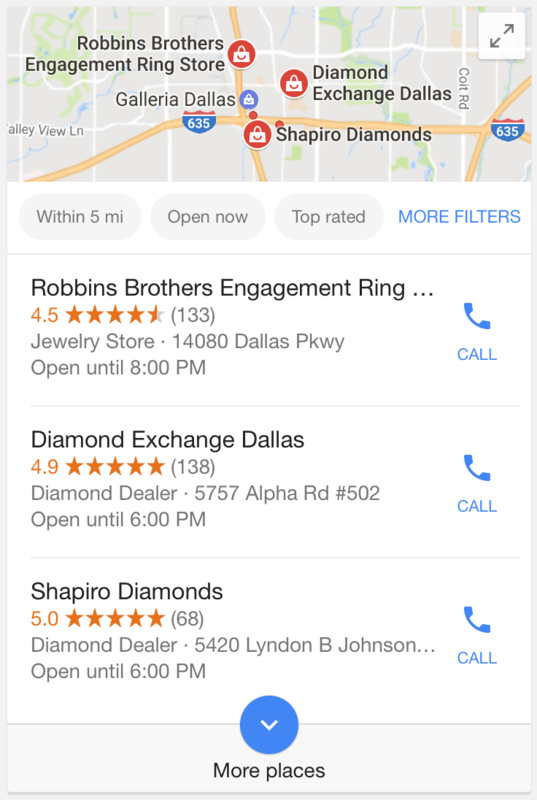 The above results appeared at the top of the search page with an option to view more products nearby. Note that this is well above the businesses displayed in the local pack and these two results are the same as Blumenthal reported seeing in his search results. 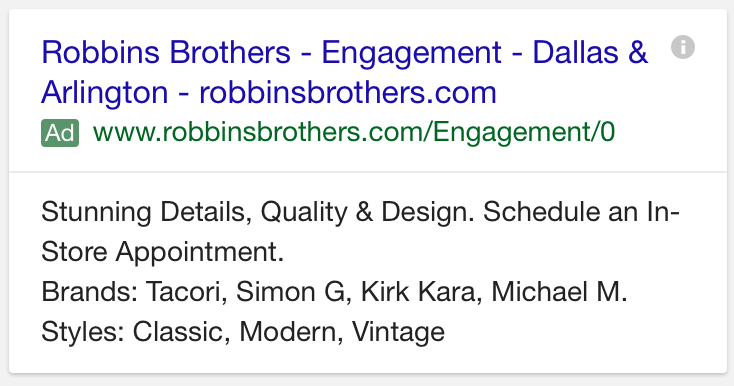 This is the local pack as seen in mobile results – that is, once I scrolled down a fair bit. While it’s important to remember that Google is always tweaking its algorithms and changing how local businesses appear in search results, this particular change raises concerns about whether organic results will become less visible to mobile users. As Google continues to roll out changes that prioritize mobile and local search above all else, it’s more crucial than ever for local businesses to maintain consistent NAP (name, address, phone number) data. Inaccurate citations and business listings are not only bad for SEO and the business’ ranking in search results, but also send mixed messages to potential customers who do manage to find the business online. Consistent NAP is a priority to rank in #mobile search says @BernieColeman. To check that the businesses you represent are displaying consistent NAP data online, I invite you to run a free visibility report today. If you are an agency or multi-location brand or business and would like to learn more about how our local presence management solution can help fix inaccurate listings, request a demo! 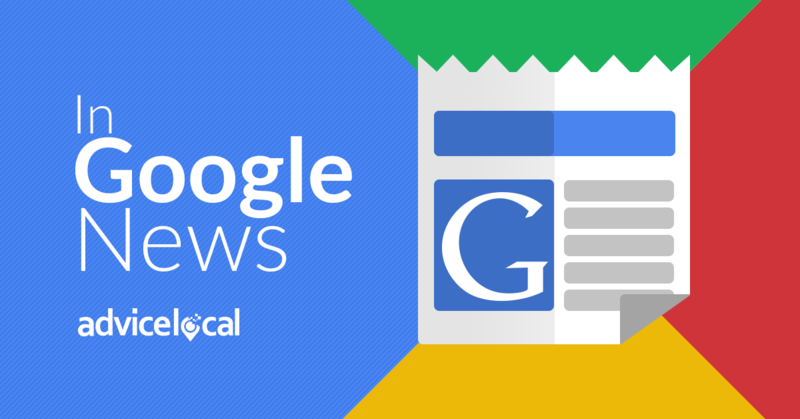 Until next time, keep coming back for your local search news from the #QueenofLocalSEO! It’s interesting to see how sponsored and paid ads are taking over search results, especially on mobile! Thanks for bringing us these important insights. Andy, I think there are a lot of people that will agree with you. Making it look like the local 3-pack with the map is what really surprises me.